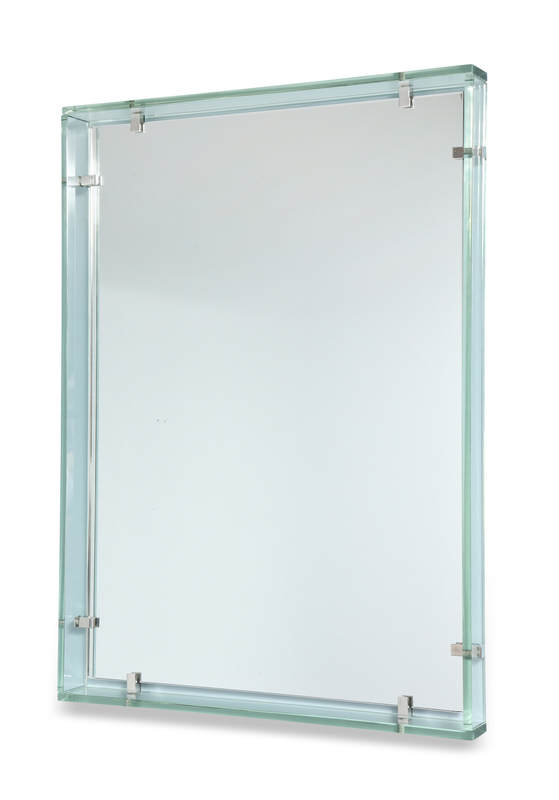 Great mirror, model #2014, floating in a frame of thick strips of crystal. Chrome plated metal support clips. h. 31.5" w. 23 1/4" d. 2.5"
Excellent condition, with some wear to glass and metal.